Clifford Possum Tjapaltjarri was born c1932 in the Northern Territory’s Western Desert at Napperby station of the Anmatyerre culture-linguistic tribe. With no formal education, Clifford worked as a stockman until his mid-twenties at many stations including Hamilton Downs, Glen Helen, Mt Wedge, Mt Allen and Napperby. During this time he developed an intimate knowledge of the Dreaming Trails that traverse the land north of the western McDonnell Ranges, which he portrays in painting his Dreamings. In the 1950s Clifford began his artistic career carving wooden snakes and goannas for the tourist trade and developed into an expert wood carver. Clifford was influenced by the acrylic ‘dot painting’ style that was introduced to his native Panuya by Geoffrey Bardon in the 1970s. Dreaming stories that had traditionally been depicted on the earth were now translated onto canvas. In 1972 Clifford passionately embraced this new influence and quickly became one of the leading exponents of the Papunya Tula School of painting. He painted prolifically, crafting some of the largest and most complex works ever produced. Throughout the 1970s and 1980s he was Chairman of Papunya Tula Artists. Clifford’s dot paintings are three dimensional images, with mythological themes balanced through artistic composition. Often, Clifford’s works portrayed bold figurative elements that stand out from the highly descriptive background dotting. In the 70s, Clifford painted the trails of his ancestors as an historical and cultural road map. Intimate knowledge from years working in the bush allowed the artist to depict his traditional land geographically. 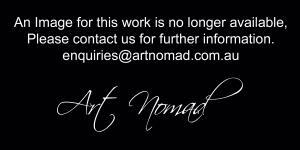 Other Aboriginal artists followed suit, removing European Art references from their paintings. Clifford and his followers now created art as culture. Clifford’s new interpretation of form resulted in visually breathtaking representations of sunlight, shadow, earth cloud and earth. Clifford Possum Tjapaltjarri died on June 21, 2002 in Alice Springs on the same day he was to receive the Order of Australia for his contribution to the art world and to the Indigenous community. He was buried at Yuelamu, the preferred burial place of his community and his daughters, both of whom are renowned artists in their own right. Clifford’s spectacular painting Warlugulong, which had been purchased by the Commonwealth Bank for $1200, was auctioned by Sotheby’s in July 2007, selling for $2.4 million. It was later revealed that the National Gallery of Australia was the successful bidder. Widely acknowledged as one of the most influential, collected and renowned contemporary Aboriginal Australian painters, Clifford Possum’s works are held in national and international galleries and collections, including National Gallery of Australia, Art Gallery of New South Wales, National Gallery of Victoria, Art Gallery of South Australia, Queensland Art Gallery, University of Western Australia, Araluen Arts Centre, Alice Springs, Flinders Art Museum, Adelaide, Parliament House, Canberra and Robert Holmes a Court Collection, Perth. *Footnote: In 1950, Clifford Possum's father? Gwoya Jungarai appeared on an Australian stamp and features on today’s Australian 2 dollar coin. When asked how much it would cost to buy one of the boomerangs he crafted, Gwoya Jungarai always replied “One pound”, earning him the nickname One Pound Jimmy.